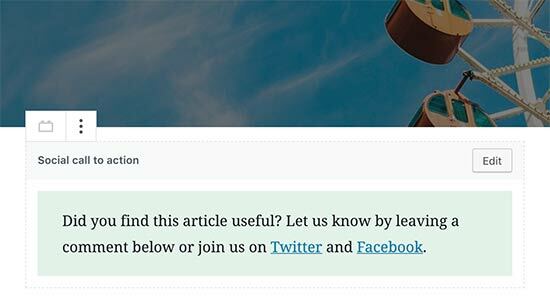 Do you often use the same content snippets in your WordPress posts? 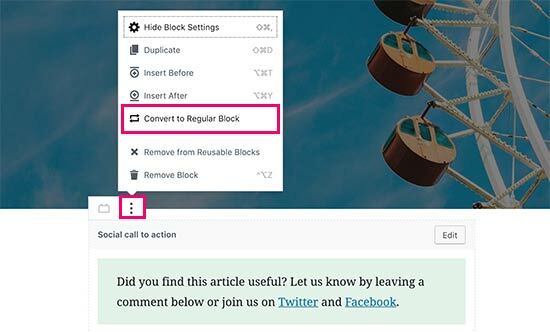 If you do, then you’ll love the Reusable Block feature in the new WordPress block editor. 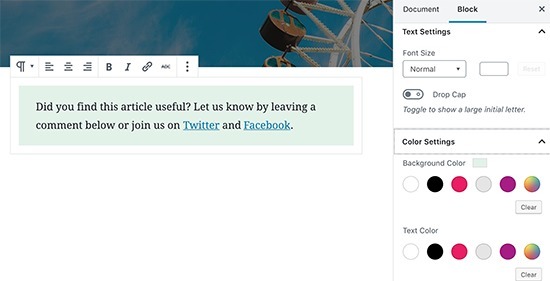 It allows you to save any content block and reuse them in other posts and pages on your website. 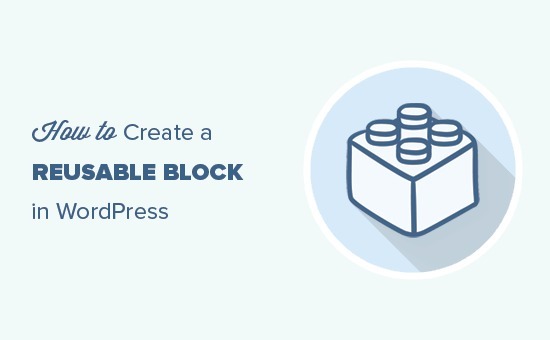 That being said, let’s take a look at how to easily create a reusable block in WordPress block editor. 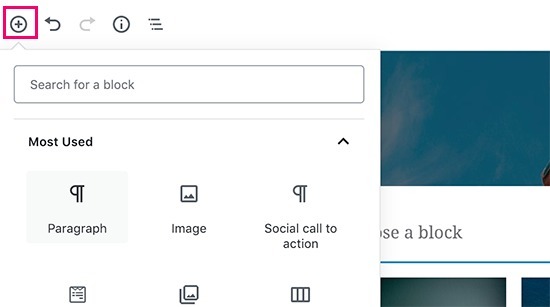 Once you are done editing, click on the three-dot menu button in the toolbar and then select ‘Add to Reusable Blocks’ option. 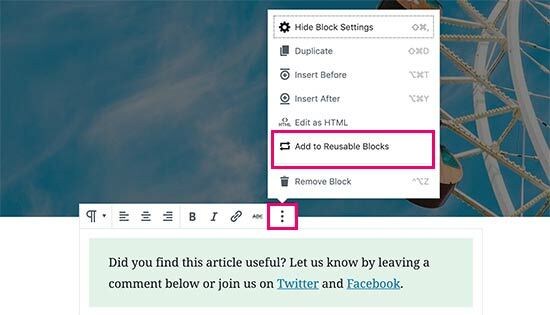 Now that we have learned how to create a reusable block in WordPress, let’s see how to add reusable blocks in your WordPress posts and pages. 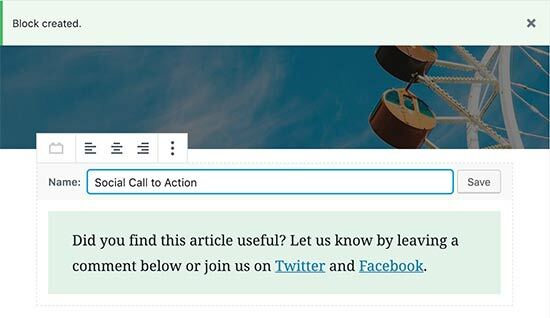 Your reusable block is located under the ‘Reusable’ tab. You can also find it by typing its name in the search box. Click on the three-dot menu in the block toolbar and then select ‘Convert to Regular Block’ option. After using reusable blocks for a while, you may have some blocks that you don’t use anymore or some blocks that you want to rename. 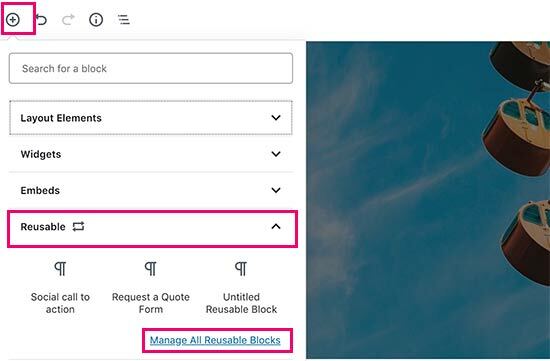 To manage your blocks, click on the add block button and then locate the Reusables tab. 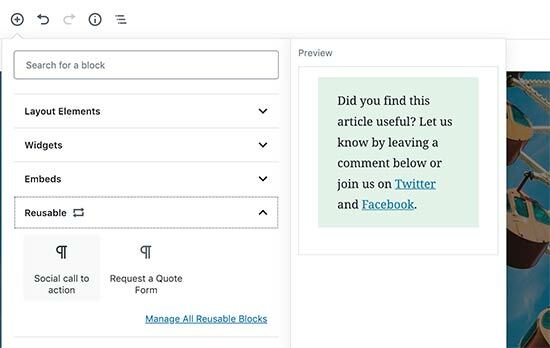 You’ll see a link to manage your reusable blocks page. 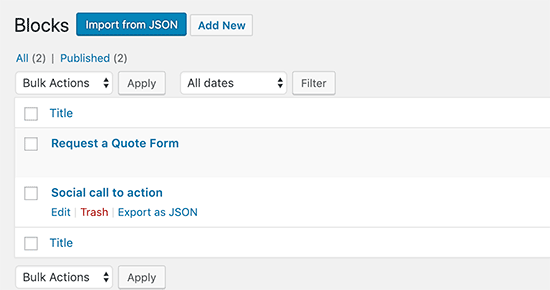 You can now switch to another WordPress site’s admin area. 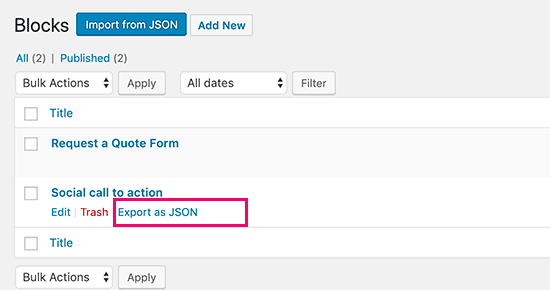 Go to the block management screen and then click on the ‘Import from JSON’ button.